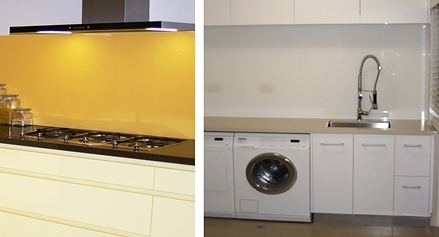 Toughened Glass Splashbacks are a perfect finish to any New Kitchen Build or Kitchen Renovation. 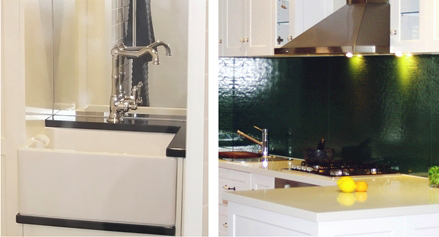 Toughened Glass Splashbacks are very easy to clean compared to ceramic wall tiles because these do away with all the course Grout Lines which can trap oils, stain or discolour. 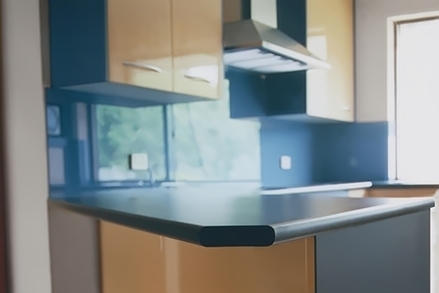 Toughened Glass Splashbacks are 6mm thick, have smooth polished edges and are finished with a two-pack paint that is sprayed onto its back-face so you see the colour through the glass. 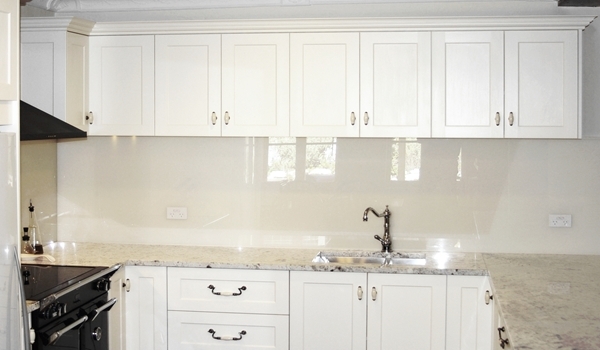 These Glass Splashbacks are water proof, fire proof, stain proof and highly scratch resistant and do not get marked by kitchen cleaning materials. 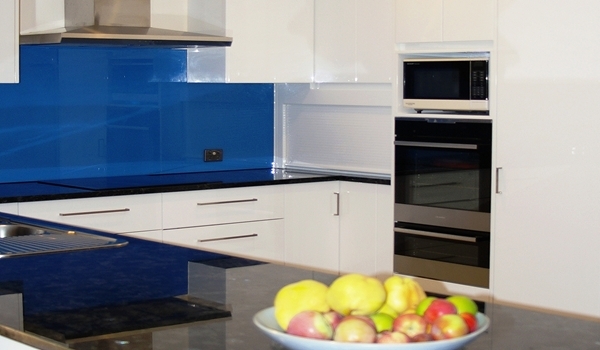 Toughened Glass Splashbacks are available in a wide selection of AS2700 standard colours or we can finish these with Any Custom Colour of your choosing where these also include metallic finishes. There are three types of toughened glass used for splashbacks; the best type is a special optically clear glass or "Opti-Clear" glass which has no colour and is the most suitable type of glass for use with paint lighter colours as this glass does not distort the colour selected. The second type of glass is a standard toughened sheet glass commonly used for large windows and the like. This type of glass has a slight "Green Tinge" to it, where this Standard type Glass is also slightly less expensive. This standard glass distorts the colour used; which can be a problem using lighter colours but less so if using dark colours and you are not concerned with seeing the slight distortion. 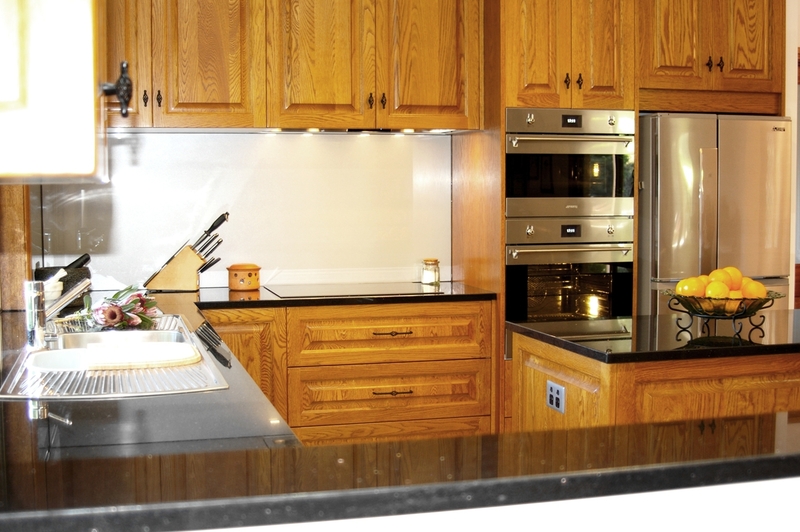 The third type of toughened sheet glass for Splashbacks is Textured glass, which is also only made from Standard Glass that has the green tinge. You can use various types of glass patterned glass which have a single textured surface used for added special effect. One other restriction with textured glass is that these are only made in small 2400 mm long sheets and so long walls have glass with vertical joins; unlike Opti-Clear glass which is made up to 5100 mm long. 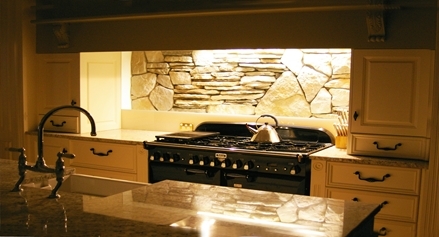 Your Glass Splashbacks can be shaped and cut to custom edge contours and can have hole cut-outs done for power points and other fixtures such as curved Rangehoods or mounting holes wherever required. Recent Technology also now enables us to print a photographic image of your choice directly onto the back of your Glass splashback to make a striking feature wall. In addition to the use of solid colour, metallics, textured Glass and Printed images we can also make mirrored glass splashbacks including Smoked Mirror where these can add a sense of added dimension to small spaces. 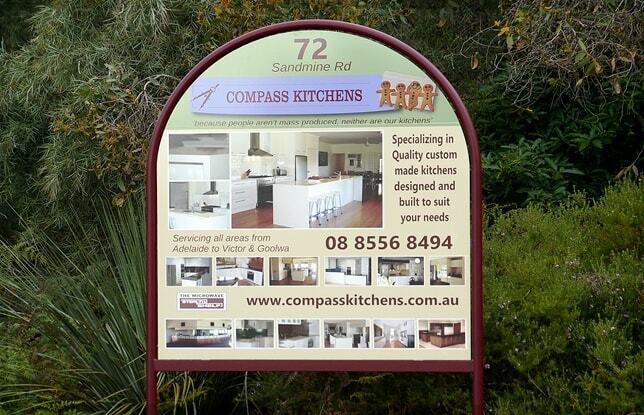 In addition to the use of Sheet Glass Splashbacks, if you prefer we can also tile your Kitchen Splashback, as well as use Stainless Steel Sheet Splashbacks, or make Stone Splashbacks, Reconstituted Stone Splashbacks or use something form the New Range of large Sheet Porcelain, which is available in several textures, Colours and patterns and like glass all these are large single sheet coverings which eliminate grout lines, are easy to clean and add character and style to any new Kitchen.